This is a 100 Amp 6 Volt/12 Volt fully automatic microprocessor controlled battery charger with engine start. 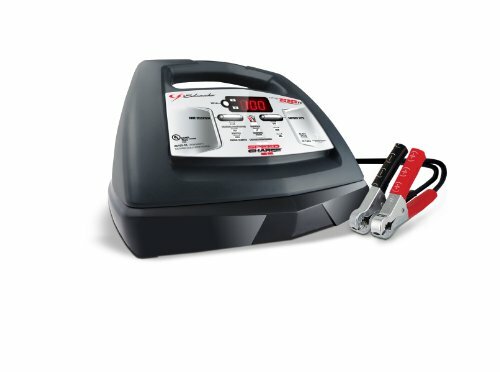 This unit has a battery and alternator tester which provides charge levels and helps diagnose electrical problems. This eco-friendly charger automatically adjusts the amperage rate to maintain batteries, and also features multi-stage charging and auto-voltage detection. If you have any questions about this product by Schumacher, contact us by completing and submitting the form below. If you are looking for a specif part number, please include it with your message.